TyJuan Lawrence, 19, Killed in Forestville Shooting; Was This Tragedy Preventable? Could the senseless shooting of this young Forestville man have been prevented? Gunfire erupted in a Forestville parking lot Wednesday, May 16, 2018, claiming the life of 19-year-old TyJuan Lawrence. 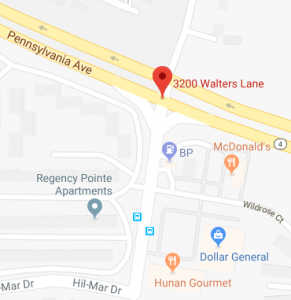 Prince George County Police told media “officers responded to the 3200 block of Walters Lane,” around 11 a.m., where “they discovered Lawrence in a parking lot suffering from gunshot wounds.” Tragically, he succumbed to fatal injuries. Police have since made an arrest in connection with the shooting, per Washington Post reports. There is an apparent history of criminal activity in the area. Following coverage of a July 2016 shooting at a nearby apartment complex, The Sentinel reported there had been “a number of shootings and homicides along Waters Lane over the years.” Sadly, it appears the violence continues. Did negligent security contribute to this Forestville parking lot shooting? We represent individuals and families who have suffered a tragic loss or injury as a consequence of negligent property security. 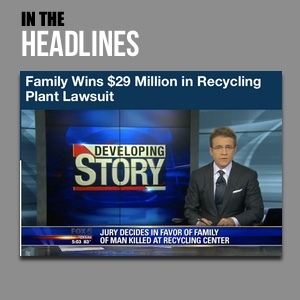 Read Our Legal Take below to find out if the Mr. Lawrence’s family may have a legal avenue for justice and claims for substantial compensation in Maryland, or call now for a free consultation with our legal team: 888.842.1616. Parking lot guests have a right to feel safe and secure while on the premises. The Murray Law Firm questions the level of security provided on the property and whether this tragedy may have been prevented. What additional security measures, such as guarded entry, surveillance cameras and security patrols, were implemented by the property owner following media reports of prior criminal activity in the surrounding area? Generally, property owners are required to protect all those legally on the premises from any foreseeable harm. Should the facts of this matter reveal that the parking lot owner or management failed to provide adequate security to protect those on the premises, the family of TyJuan Lawrence may seek justice and elect to pursue legal claims for his wrongful death. We’ve Recovered Millions for Victims of Proprty Security Negligence…Contact us Now for a Free Consultation.